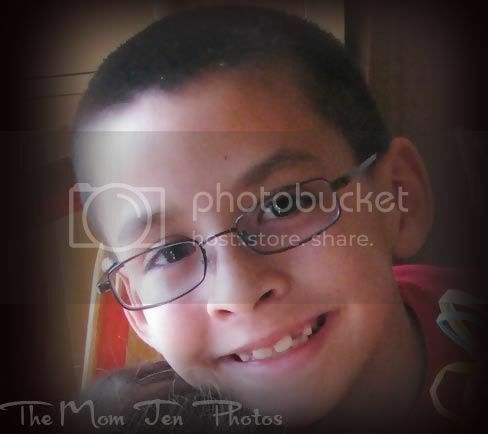 Musings of The Mom Jen: Happy Birthday to My Boy! Home > birthday, celebrations, My Boy, Things I Love > Happy Birthday to My Boy! My Boy is NINE today. Back in 2001, he arrived 11 days early. On March 7, 2001 I went to the hospital thinking he was going to arrive, only to be sent home with false labor. From the beginning he had me on my toes. Didn't like anything but soy milk. He was colicky and slept unconventionally on his stomach when we were in the world of "Back to Sleep." Luckily for all of us, he mellowed out and has become the most sensitive child of our 3. Now a bright 3rd grader, My Boy loves Pokemon, Bakugan, baseball, soccer, and Legos. He's a night owl, loves hanging out with his dad, and loves his sisters even when they don't give him the time of day. He doesn't mind hugs at school, can't think of anything he wants for his birthday besides "CASH and Baskin-Robbins," and still likes to remind me that I have forgotten him at school more than once. I relate mostly to this guy for some reason. You know how some of your children are more like your spouse, well those are my girls. My Boy is me all over again....minus the estrogen thank god! Oh how I try to remember the squishiness of this little boy. So stinkin cute. My is ten this year and I just can't believe how fast my first has grown up! Happy Birthday to your adorable little man! Happy Birthday to your son. My my, look how cute those pudgy hambones are!!! Today is my neice's 9th brithday also. Happy Birthday :) Man they grow so fast. My son will be 9 in Dec. 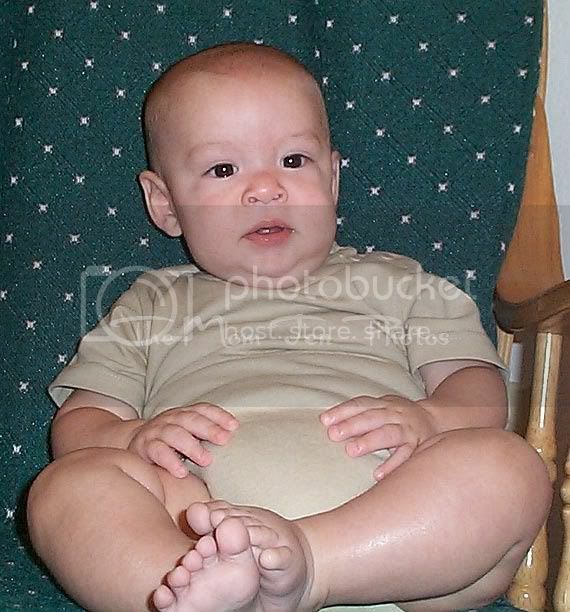 I wish he still was a chubby little baby too. Look at those sweet, little toes! Happy Birthday - to you as well. Man, I can never get enough of the baby thunder thighs action!!! I wish mine had gone away but they never did!!! Happy Birthday..he is sooo handsome! You are one LUCKY momma! Awwwww -- he looks like he was a cuddly baby. Happy birthday to him! Happy Birthday! He is a handsome boy. They sure grow fast.